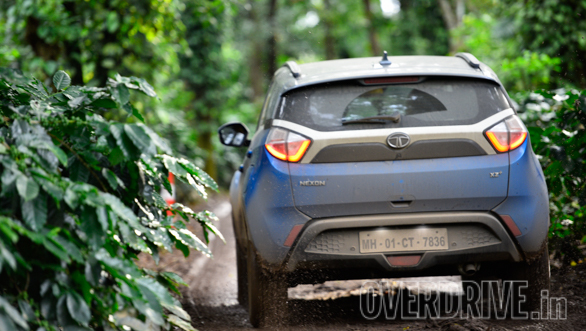 Along with the Tiago, the Nexon has been a revival product for Tata Motors, again drawing people into its showrooms and helping create a new enthusiasm towards the brand. 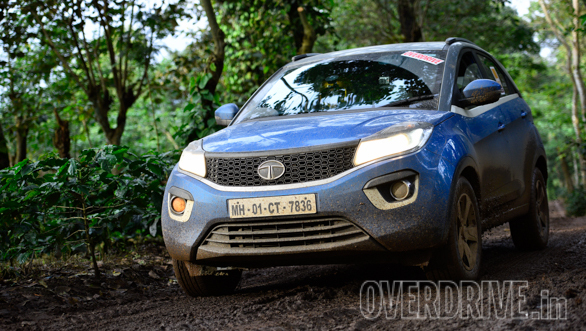 The design and overall styling is truly adventurous, and Tata deserve full marks for trying to venture into a new territory. While the Nexon looks totally novel, and to a certain extent even cute, some of the styling elements do look a little forced and pretentious. 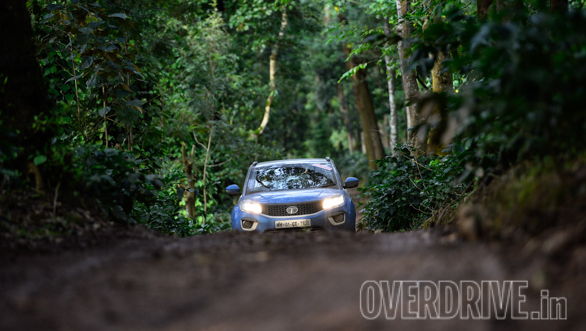 For a sub-4 metre, the Nexon is wide and while its street presence may not be all that imposing, it attracts its share of eyeballs. The high front seating, large windscreen and side windows with a slight downward slope provide a sizeable view, however, the thick A-pillars interfere with cornering vision. The wipers have a decent sweep although the passenger side one is too short and placed at an angle that it makes it look clumsy while working. The somewhat narrow rear windscreen limits rearward visibility, particularly in the wet as the aft wiper is small, cleaning only a part of the windscreen. The broad C-pillars don't help matters either. 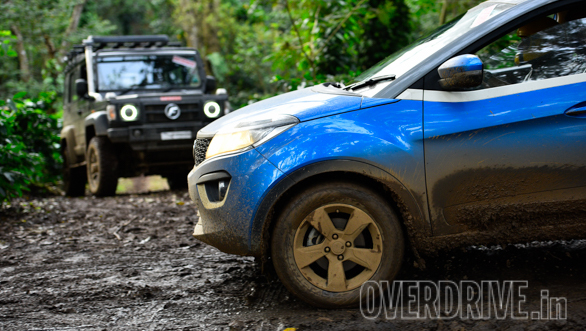 Despite the overall height of the Tata Nexon being only 1,607 mm (Brezza 1,649 mm, EcoSport 1,647 mm), its ground clearance is an impressive 209mm. With such a raised underbody, it would have been ideal if it also had all-wheel drive, instead it's only driven by the front wheels. The front doors have a slot to store umbrellas, but it's difficult to use. The rear A/C vents help cool the cabin quicker and while boot space is fair, there should have been more storage bins in the cabin. The diesel engine is reasonably powerful and the gearing ensures both drivability and cruising ability is good. High speed stability is not bad, and though the 44 litre fuel tank capacity is the least in segment, the tall 6th gear ensures it has a range of about 750km. The compact size and proportions encourage you to fling it around, making it fun to drive. But the Nexon does move around a lot and as a result of the constant corrections required, it's the second slowest.